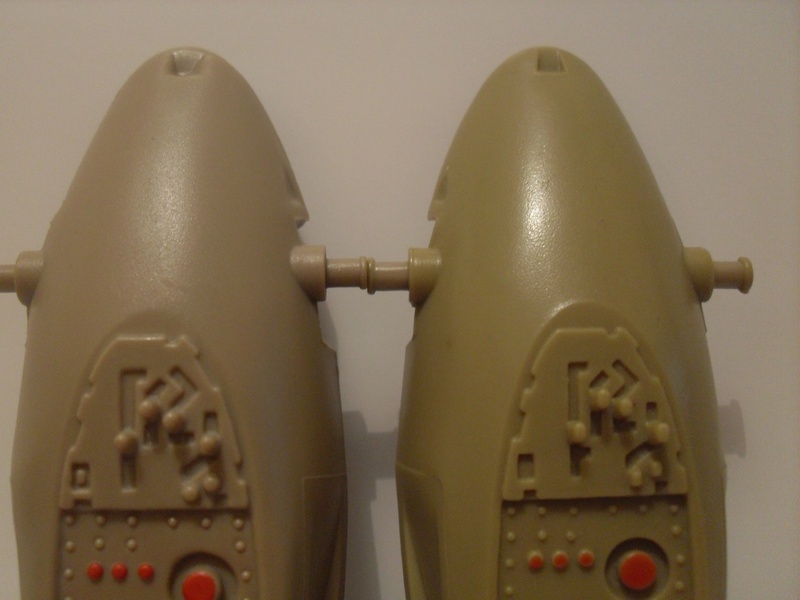 Vintage Speeder Bike Variation - Need help! The first above has a softer dent to it's nose and it appears slighty a bigger or wider back. 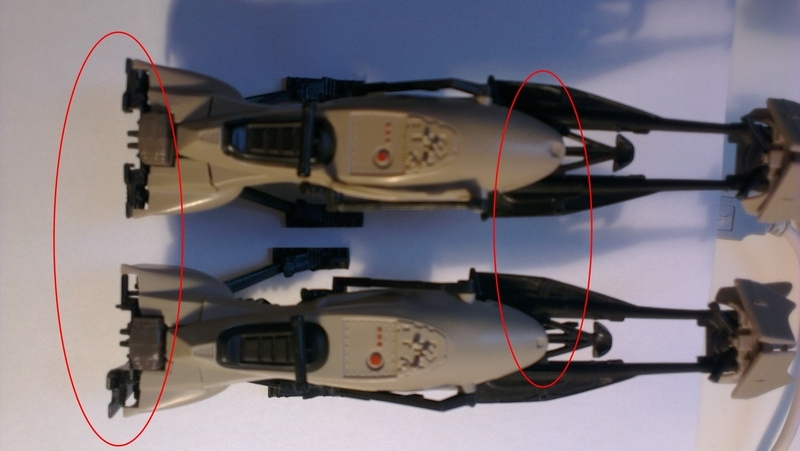 The one at the bottom is an overall shorter speeder bike and has a very accurate, sharper dent on his "nose". Anyone has more infos on these? What is the COO? Taiwan, raised bar Taiwan, Macao, no COO ? Sharp dent is a raised bar TAIWAN, soft dent a regular Taiwan. edit: the colour difference is due to age. Subject: Re: Vintage Speeder Bike Variation - Need help!